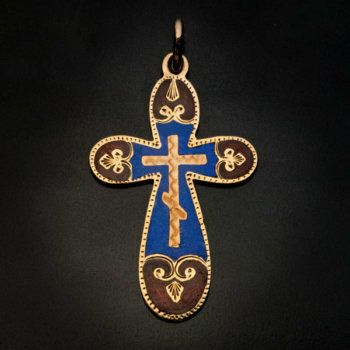 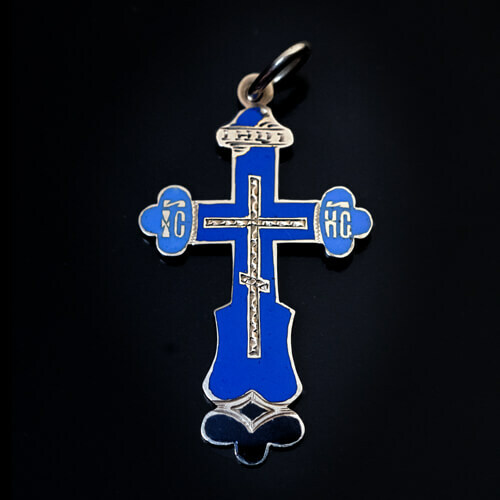 An antique Russian hand-engraved gold cross pendant is embellished with two tone blue and black enamels. 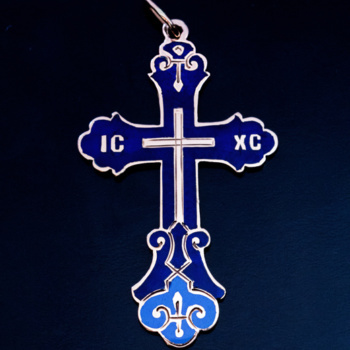 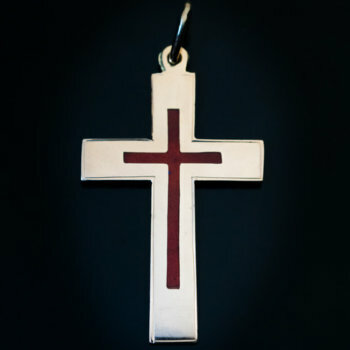 The abbreviation ‘IC’ – ‘XC’ stands for Jesus Christ. 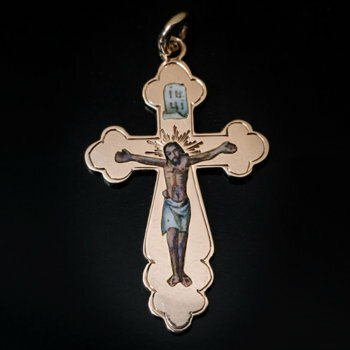 Engraved Cyrillic abbreviation ‘IHЦИ’ on the upper arm of the cross refers to the title board which Pilate ordered to be hung in mockery over Christ’s head. 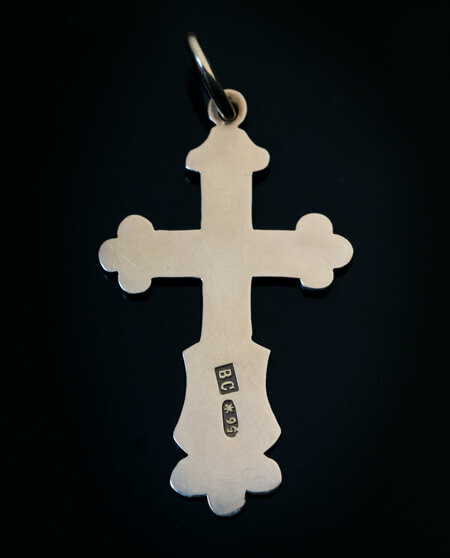 The board was inscribed: “Jesus of Nazareth, King of the Jews”. 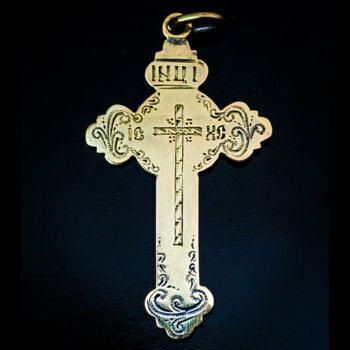 The cross is marked with maker’s initials ‘BC’ and 56 zolotnik old Russian gold standard with St. Petersburg assay symbol.